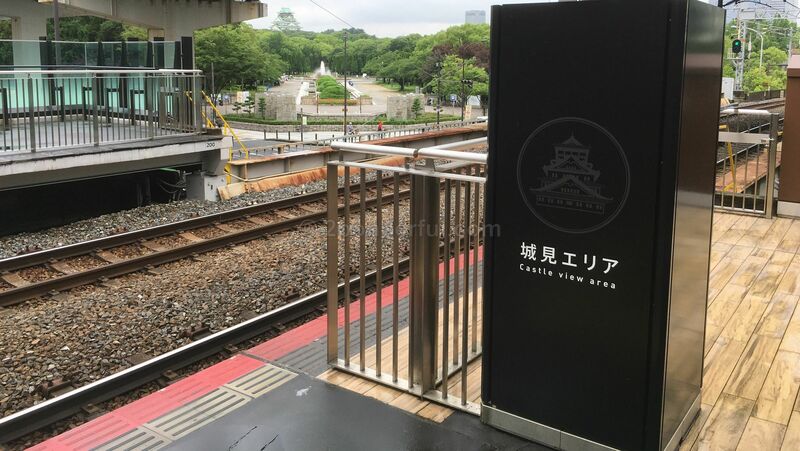 You can have a quick look of the Osaka castle from the distance at the JR Morinomiya station on the loop line, if visiting the castle is not on your list. The viewing points are on the both platform 1 and 2. It has good views of the Osaka Castle. Once you see the castle, you may change your mind. The Osaka castle has all the features that can be found in Japanese castles, gates, moats, turrets, high walls of huge stones.